Art is an intellectual accumulation, which is unique to the society where it exists, and it is shaped by that land’s culture. In the other words, art is not an element, which can be taken from other cultures directly and applied to a society. On the other hand, communication instruments play a significant role in transferring the cultural and artistic heritage, which are the basis of a country. Furthermore, graphic design is a language which conveys a message, it is an identification of the cultures and it is unique to the countries. However there are several factors that influence the graphic design of a country such as historiy of the country, believes, political structures and cultures. This study aims to focus particularly on Iran’s ancient and rich culture, Its principles of graphic arts, and development of it in this cultural at different periods such as when the culture was under the influence of religion In addition, the social and cultural factors which affect the graphic design were studied with theiradvantages and disadvantages. In conclusion, the historical process of Iranian graphic art throughout history was studied by taking the development of Iranian graphic art into consideration with respect to socio-cultural perspective. Goshayesh, F. (1999). History of Iran and World Art. Tehran: Efaf Publishing House. 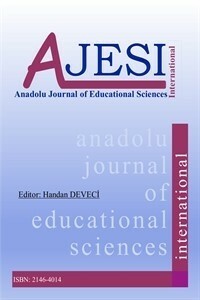 Jafari, M. T. (1999). Beauty and Art in terms of Islam. Tehran: Allameh Jafari Publishing House. Ahmadi Baghbadrani, S. (2009) Art and Religion. Monthly Art Book, 133, 24-28. Dabiri, A. (2005). Lithography and the Reasons for Spreading in Iran. Magazine Book, 62, 59-66. Hoseini, Sh. (2012). Iran Graphic before Revolution (1956-1978). Monthly Art Book, 169, 58-65. Jabari Rad, H. (2008). The First Schools of Art in Iran. Art Magazine, 12, 40-49. Katuziyan, M. A. H. (2010). Creatures of We Iranians. Mehrnameh, 2, 45-46. Molaei Nia, R. (2008). Introduction of Modern and Contemporary Graphic Factors. Negareh Magazine, 7, 51-63. Momayez, M. (1996). Regeneration in Iran Art. Speech Magazine, 10, 31-40. Pirhushyar, S., Marasi, M. (2012). The Position of Iranian Art in Four Distinguished Book of World Art History. Monthly Art Book, 172, 36-43. Summarized History of Graphic and Poster in Iran (1982, 8 Mayıs). Cihat, 31, 42-44.